These organizations or sites have been suggested by our members as something that may be of interest to you. Their presence on this page in no way constitutes an endorsement by the Sons of Scotland Pipe Band of the products or goals of the organizations represented. 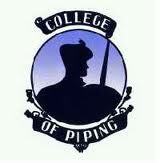 ​The Sons of Scotland Pipe Band are pleased to be affiliated with the Ottawa City Piping College which supports its mandate to teach and train musicians in both piping and drumming in our region. Our curriculum follows the course of the prestigious College of Piping in Glasgow, Scotland, and our 3 accredited examiners follow their testing guidelines. 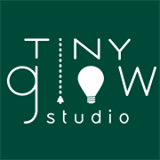 We have 2 Ottawa based teachers and one in Montreal, Quebec who can assist you with your lessons. For information on lessons, please email school Director Bethany Bisaillion atcollegeofpiping@sympatico.ca for times, costs and locations in Ottawa and information on the school in Montreal. All new members are asked to have a basic knowledge of exercises, tunes, and have taken a session of admission with one of the band's officers. ​The OCPC is proud to support the beginner program of the Sons of Scotland Pipe Band.